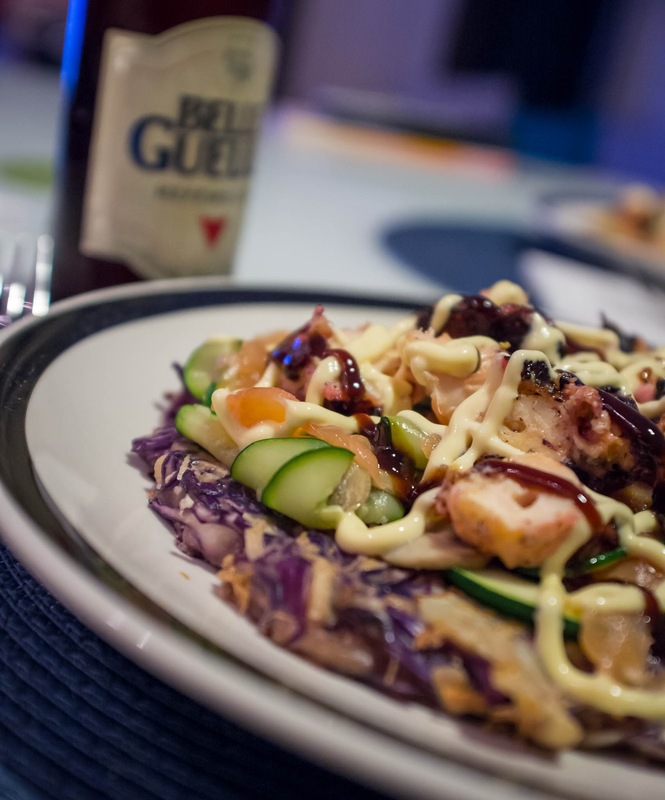 The recipe for Okonomiyaki can be found in our blog entry dated March 15, 2012 (simply click on the “Japanese” label below and it will take you to the recipe. It’s basically a mix of cabbage, flour and egg, cooked in a pan for about 5 minutes per side. Top it with Japanese mayo, hoisin sauce and anything else you like. We like to add roasted octopus, smoked salmon and roasted vegetables. We discovered a restaurant/fish market called La Sirène de la Mer (114, av Dresden, Mont-Royal) which has a poissonnerie inside the restaurant. People who eat at the restaurant can select the seafood they want directly from the market. We ordered half a pound of octopus “to go” and they cooked it for us on the spot. We are definitely going back for dinner at the restaurant.